Well hello and happy almost summer! Did you know that tomorrow (June 21) is the official first day of summer? In my mind summer started when I switched over to white wine but that's just me. Hehe. I've got a treat for you today on the blog. 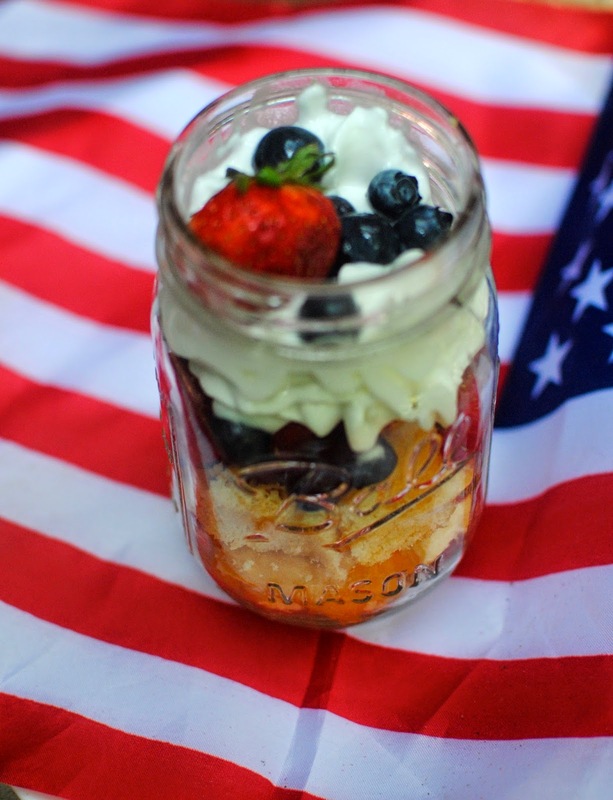 Perfect for summer, but really super duper perfect for the 4th of July. I whipped these up for a 4th of July photo shoot I did, but more on that later. 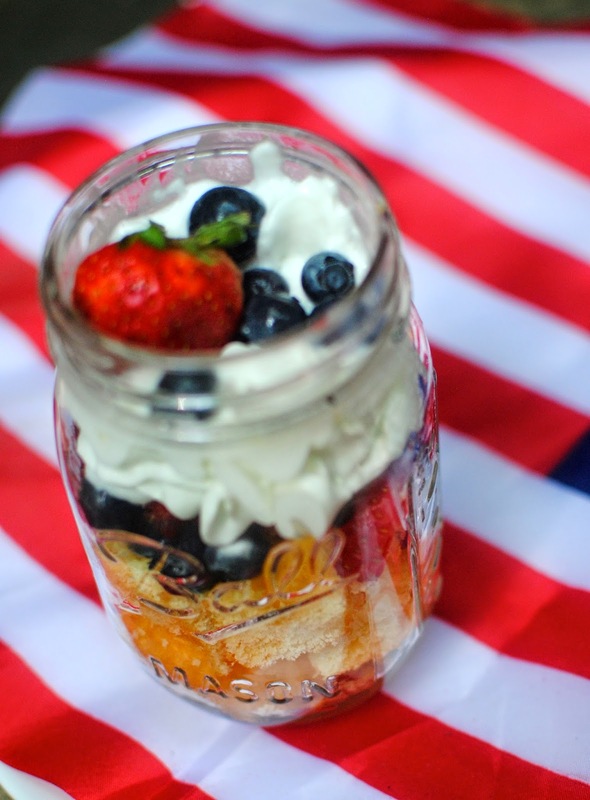 First let me tell you how to make these super easy Red, white and blue Mason Jar parfaits. These no-bake desserts look adorable and would be the perfect addition to any summer BBQ. 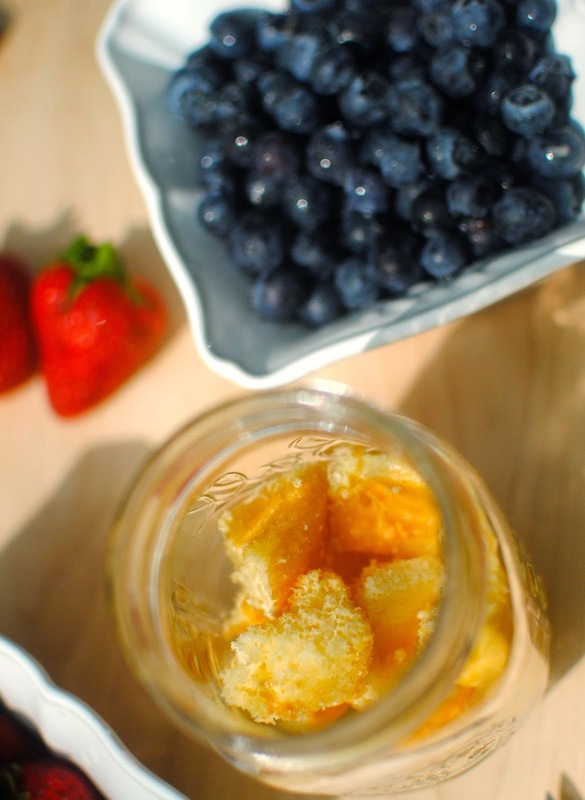 All you need is blueberries, strawberries, pre-made angel food cake and whipped cream topping. Plus mason jars, but if you're like me, you've got about a million of those lying around. Follow the above directions and you'll have an adorable dessert in minutes! So, about that photo shoot I mentioned earlier. 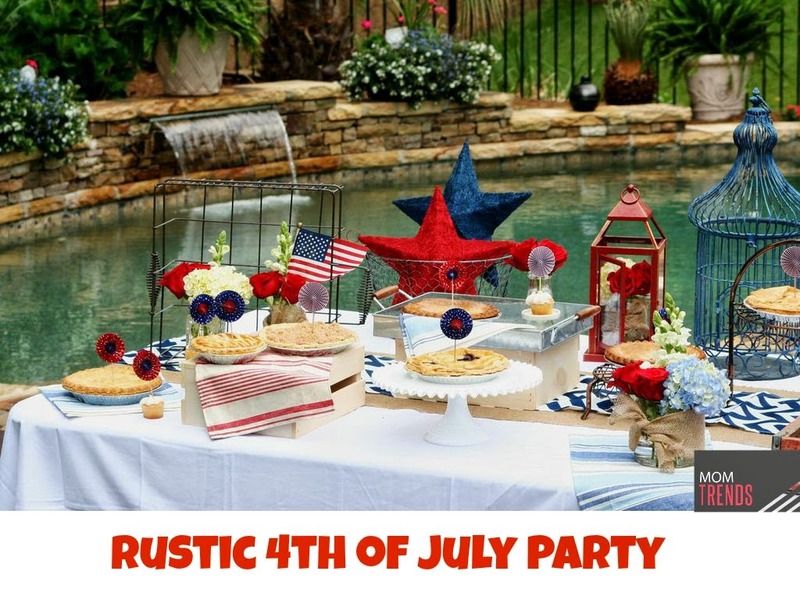 The wonderful site MomTrends (a great resource for busy but stylin' mamas) asked me to style a 4th of July photo shoot featuring some great products. 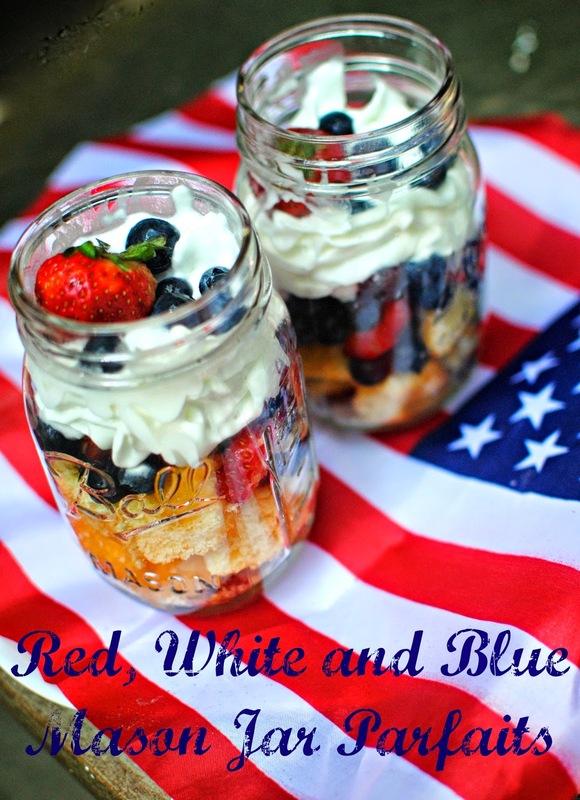 I made these parfaits for the photo shoot and used one of the products (patriotic Duck Tape) to decorate the wooden forks. You can see more photos like the below and see how else I used Duck Tape and other fun products by visiting the post HERE. 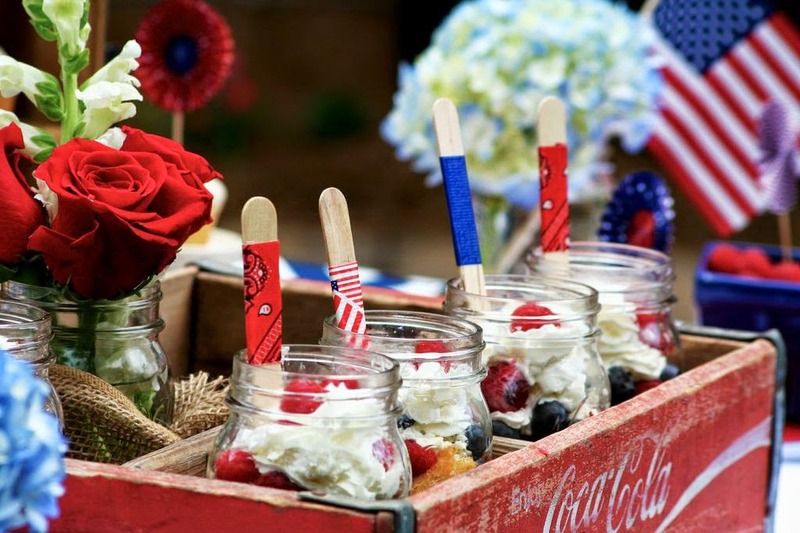 Seriously, check it out for awesome 4th of July party inspiration!